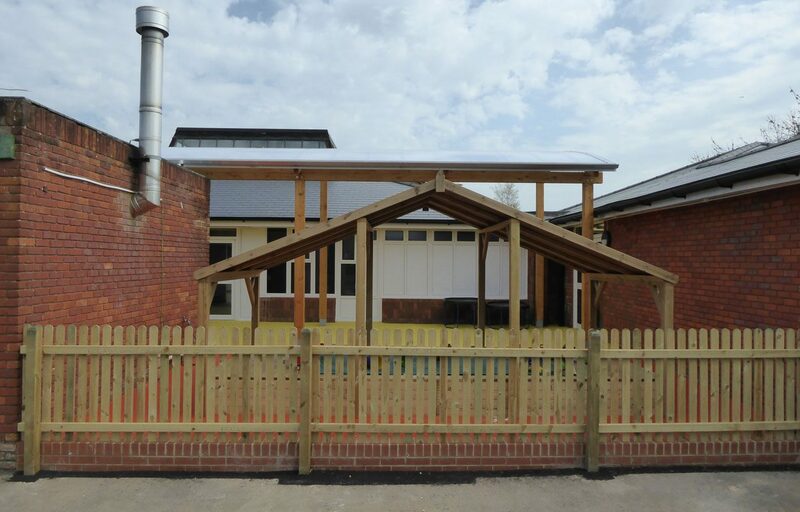 Two external shelters provide entrance cover. 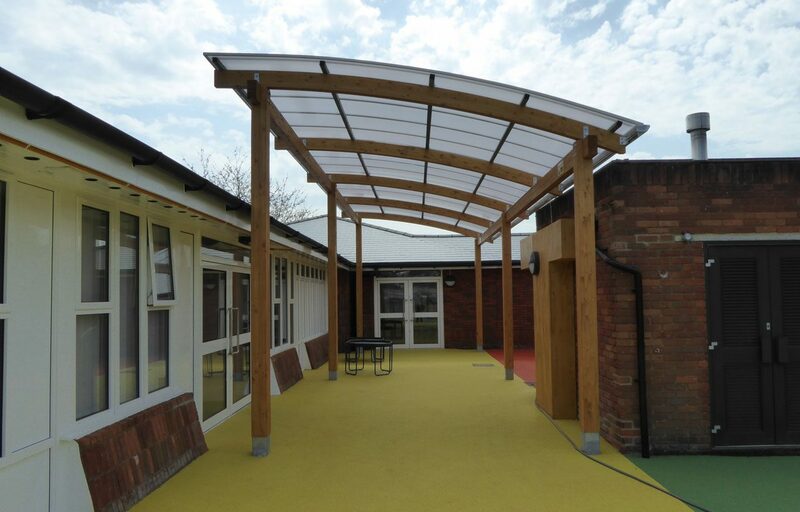 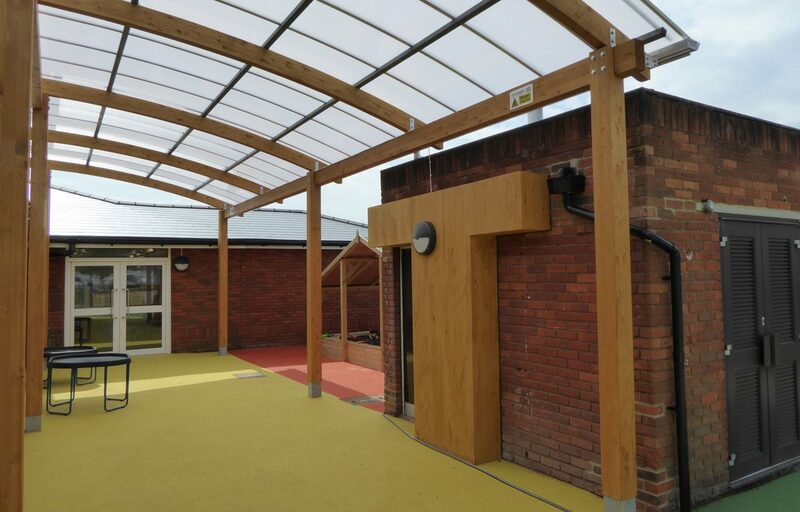 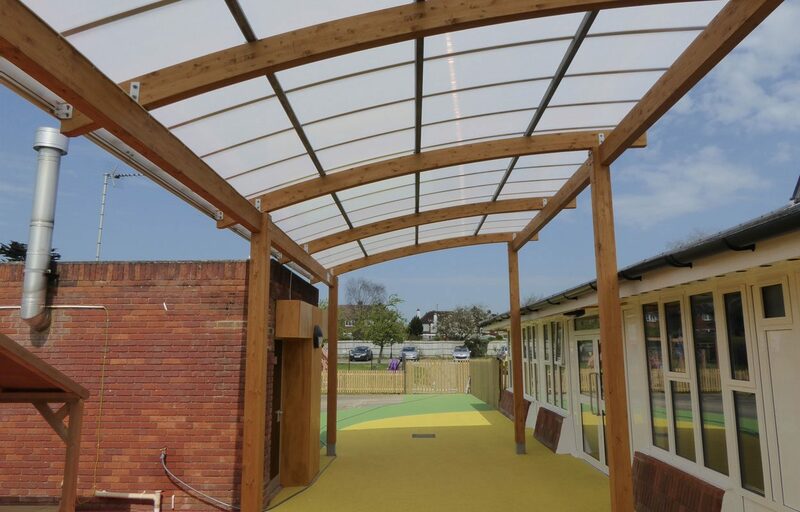 Two timber canopies create protected and welcoming entrance areas for a nursery in Buckinghamshire. 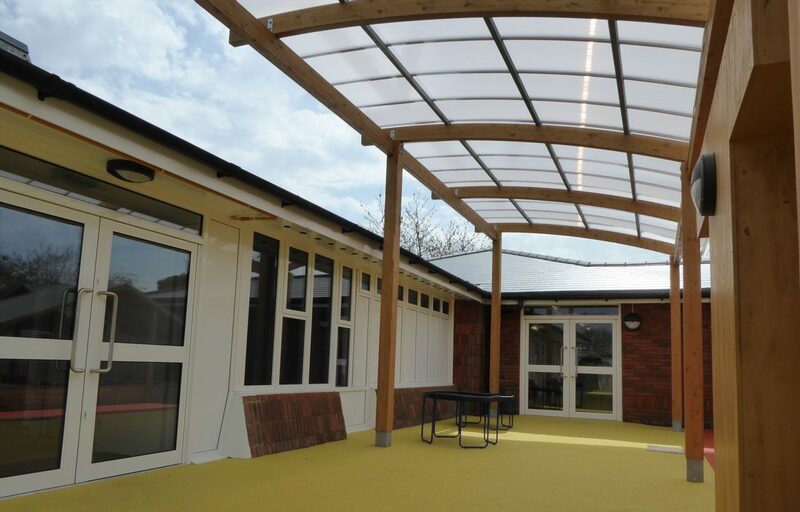 The external shelters extend and add emphasis to the school’s entry points. 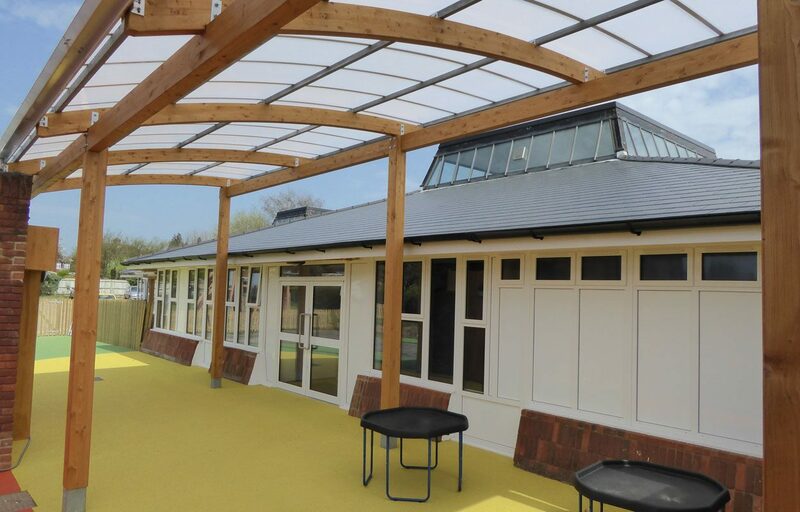 A 25 year structure guarantee ensures the longevity and rigidity of all Fordingbridge entrance canopies.